Sometimes you need to get a web coding job done. Maybe you’re on a laptop with no WiFi or network access. Maybe you’re on a Windows machine and don’t want the hassle of installing Apache, MySQL and PHP separately. Whatever the situation, you need a web server, database server and server-side scripting language now. 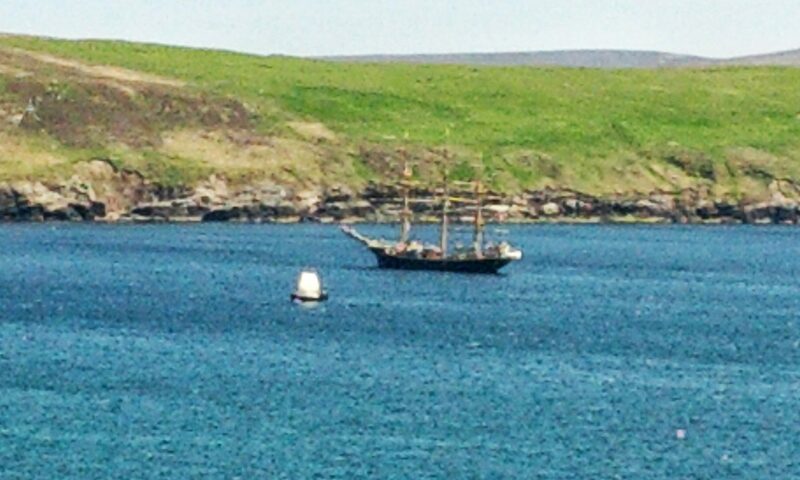 That’s where XAMPP comes in. Downloaded from those lovely people at www.apachefriends.org, XAMPP is an easy-to-install, easy-to-use package that will give you a local web server with very little fuss. You can even unzip the entire thing onto a pen drive and run it as a portable app (although it’s a shade slow, especially if you then run Portable Komodo Edit alongside it!). The Svc tick boxes down the left hand side are for getting Windows to run the whole thing automatically. This isn’t necessary for the casual use I put XAMPP to. When you need a web server, you click “Start” for Apache. When you need a database, click “Start” for MySQL. Not a clue what Mercury is, in this context, and FileZilla is there for FTP transfer of files – never needed it on the local machine. Also, I’ve always seen the “Directory mismatch” warning and it’s never affected what I’m working on. It is nothing short of a gem of an application. It has saved my development bacon a few times when I’ve needed a server at short notice. Running it doesn’t slow your machine down noticably. More complex options are available, of course. You could have a Linux server sat on your network for these occasions, or a virtual machine of some sort on your own computer. But the Linux box relies on a network connection and the VM can eat into your system resources. 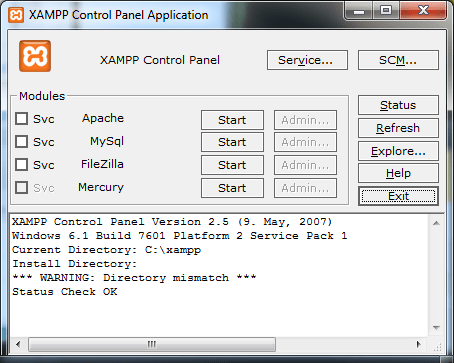 XAMPP goes in and does the job it needs to do.